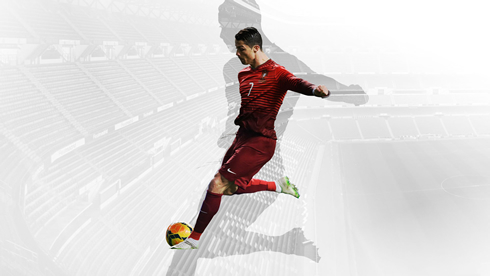 There's no better day than today to come up with a detailed analysis of Portugal's campaign in the upcoming FIFA World Cup 2014 in Brazil. June 10 is a national holiday in Portugal, as it's the day where Portuguese people commemorate the death of their national literary icon, Luís de Camões, who deceased on June 10th of 1580. May this date inspire them for a memorable World Cup! 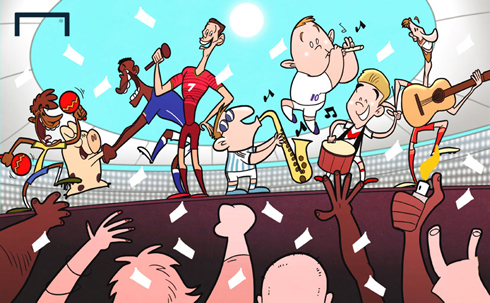 The Group of Death - it's one of the World Cup's most frequently trotted-out cliches. But guess what? Cliches are cliches because they're true and Group G of the FIFA World Cup 2014 is, without question, one of the toughest of all. Portugal, Germany, USA and Ghana result on a heady mix of experience, organisation, youthful flair, unstinting teamwork and pure talent, with two of FIFA's top four world-ranked teams. Throw any of those four sides into pretty much any other group and they'd be on their way to the last 16. But they're all in it together and two of them are going home way too early. So how are Portugal going to avoid a plane journey back to Europe on Friday, June 27? Portugal had to go through the play-offs to make the World Cup, after dropping points with draws against Israel (twice) and Northern Ireland. But in a group that will be a painfully tight affair, draws will actually be Portugal's ally, in the early stages, at least. They start their campaign against Germany in Salvador. A draw there – and then another against the well-drilled and always difficult USA – would do very nicely indeed. If Portugal can go into the final group game, against Ghana, needing a win to progress at the expense of the Africans (and presumably the Americans), then they will have a very realistic chance of doing exactly that. It won't have to be pretty or exciting, it will be all about getting the job done. Whatever the fight is, and wherever it's kicking off, you'll find Pepe at the heart of it. He might not have had anything to do with the initial trouble, but the Real Madrid man can't help but to get involved. Heads will be hotter than ever in the tropical venues that Portugal will play the majority of their group games, but Pepe needs to stay cool. And that will go for the other experienced and tournament-savvy players in the Portuguese ranks as well. The squad is not so deep that they can afford to lose the likes of Bruno Alves, or Moutinho or, of course, Pepe. Stay calm, stay focused, stay on the pitch. Portugal are an experienced tournament side – as long as their veterans lead by example. European sides always suffer during south American World Cups. The heat, the travel, the altitude, the hostile crowds... Well you can scratch that last factor where Portugal are concerned. The ties between 'brother countries' Brazil and Portugal should be translated into major crowd support for the Europeans. And nevermind the love, the crowds need to get on the backs of Portugal's opponents if they want to help their European brothers progress. No side is a one-man team, but Portugal, at times, do a pretty good impression of one. Without Cristiano Ronaldo, the "Selecção" is often devoid of inspiration and, more pertinently, goals. Let's assume that Ronaldo will be fit for the World Cup. He's in his prime, he's the World's best player and he's got unfinished business. Ronaldo has never quite done it at the World Cup stage. 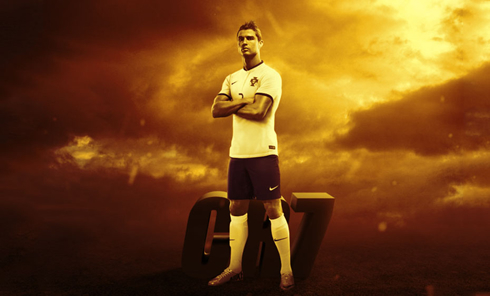 This will be his his time and now that he already scored a hat-trick to get Portugal through the play-offs, he might need to repeat such heroics to ensure they get out of their group. World Cup hat-tricks are rare beasts and predictions on the first one to be scored in Brazil reflect that. 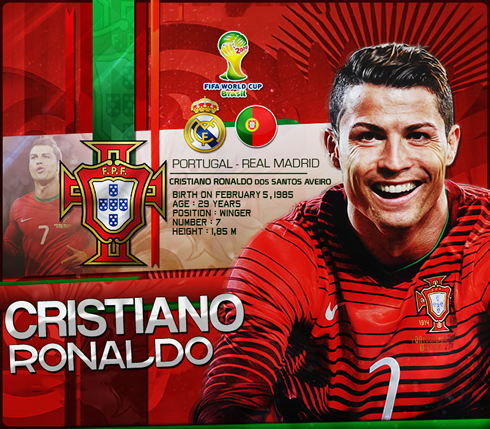 A Ronaldo hat-trick in a 3-0 win over Ghana to get Portugal into the knock-out stages? It really could come to that. 1. If you're good enough to get through that lot, you're good enough to go a long way. 2. To get out of that group will take too much form and fitness out of you for your stay to be extended much further. What is for sure is that the runners-up in Group G, which could very well be Portugal, will then play the winners of Group H, which will probably be Belgium. There's a growing feeling that, talented as they are, this tournament has come a couple of years too early for the promising but unproven Belgium squad. Portugal are a battle-hardened tournament team, while Belgium are taking a leap into the unknown. If experience tells, then the form guide points to a Portugal vs Argentina quarter final. And there, with some degree of likelihood, Portugal's World Cup adventure would end. Wouldn't it? Messi vs Ronaldo? Haven't we heard that sort of thing before? And who is currently winning that particular battle? Stay fit, Cristiano. Your country's going to need you. And stay loud, home fans, your brother country will need you just as much – especially when the Argentinians turn up. 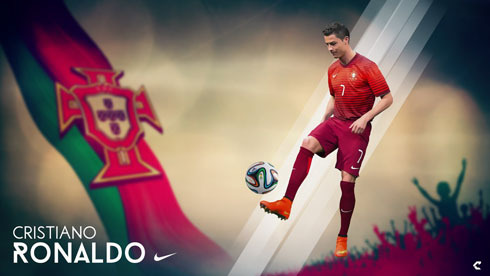 Cristiano Ronaldo's next game will be a friendly between Portugal and Ireland, scheduled for June 10 of 2014, in New Jersey (United States). 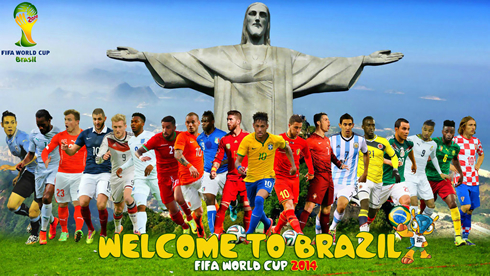 You can watch Juventus live stream, Portugal vs Ireland, Spain vs Holland, Brazil vs Croatia live, and Chile vs Australia, all matches provided from our World Cup live soccer streaming pages.